****FAMILY ENTERTAINMENT SITE: PASSES EXCLUDED IN BOOKING COST: FOR LARGE SWIM COMPLEX PHOTO PASSES MUST BE PURCHASED AT RECEPTION, approx. 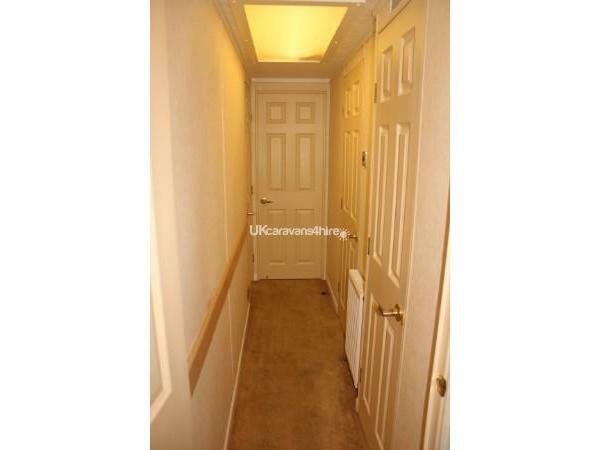 Bognor Regis Town Centre/Pier/Beach 2 miles. Excellent DOG FRIENDLY Family Site, numerous Family Entertainment Facilities including Swim Complex, 2 x large modern Adventure Playgrounds, Children's club, Children's entertainment, Evening Shows. etc. 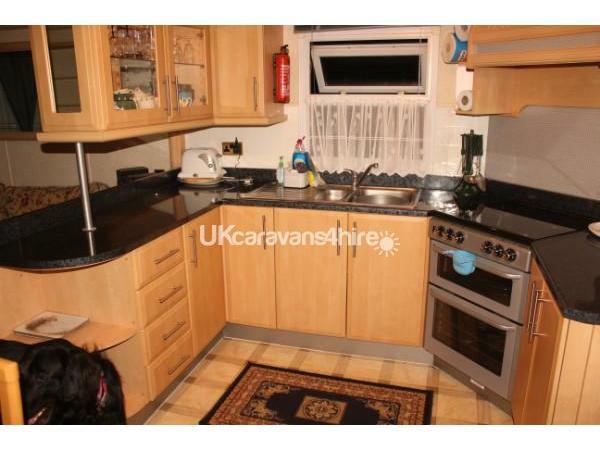 DOG MUST NOT BE LEFT IN CARAVAN. Well behaved dogs only considered. 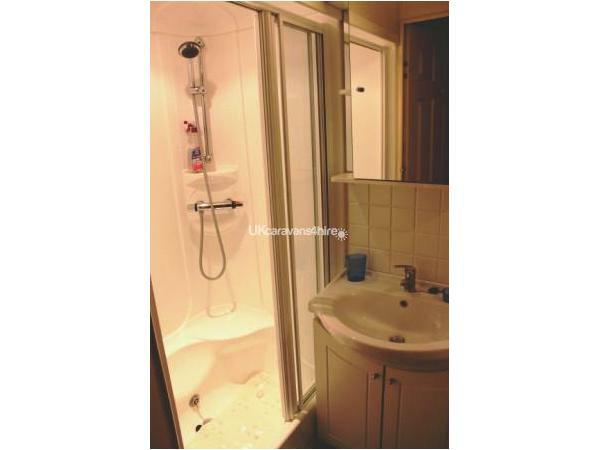 Fully refundable security deposit of £100 secures booking, in case of damage/breakages/overcrowding/nuisance/extra cleaning as required: Deposit refunded after inspection, if all is OK (usually 10-14 days). Dogs on lead at all times: Dogs MUST NOT be left in caravan, nor cause any damage, nor cause a nuisance: Owners MUST clean up after dogs. Dog Beach (Pebbly) Aldwick Beach, 'West' Car Park, Aldwick: PO21 1HP. At end of Promenade Beach Huts (approx. 2 miles from Riverside): Cafe and large grassy park next to Car Park, worth checking High Tide times due to strong currents on beach. 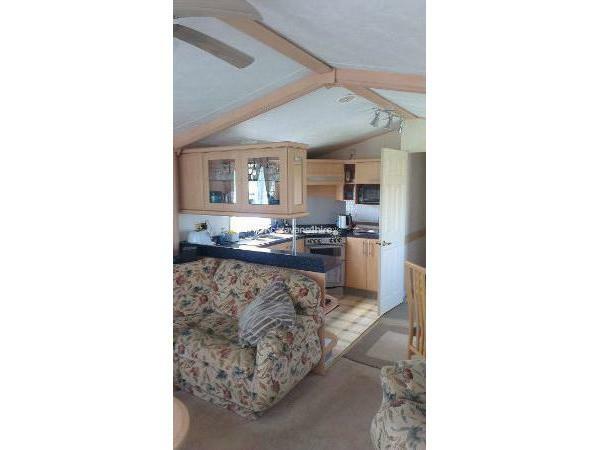 A large extensive natural unspoilt sandy beach Estate approx.15 miles away with parking by beach: Dogs allowed at start of estate, ie: to the left of Surf Shop (facing sea), or at end of estate, after beach huts. Fantastic sandy beaches, small natural ponds (when tide is out), usually quite safe for very young children to paddle and play, (Car park charge applies, up to £8.50 per car): check Tide Times: West Wittering is possibly the most beautiful, stunning & unspoilt natural sandy beaches in Southern England. 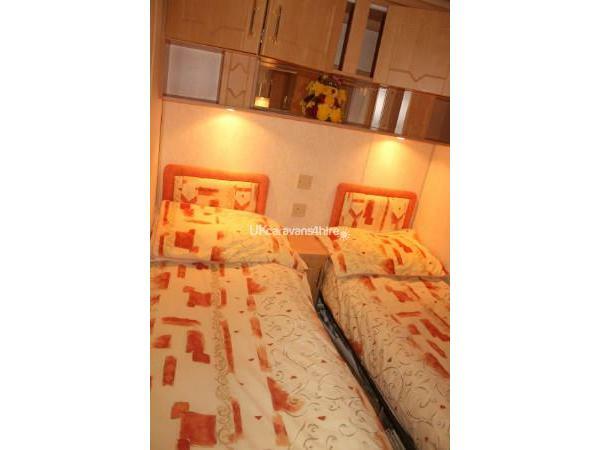 10) Our mobile home is always cleaned to a high standard. 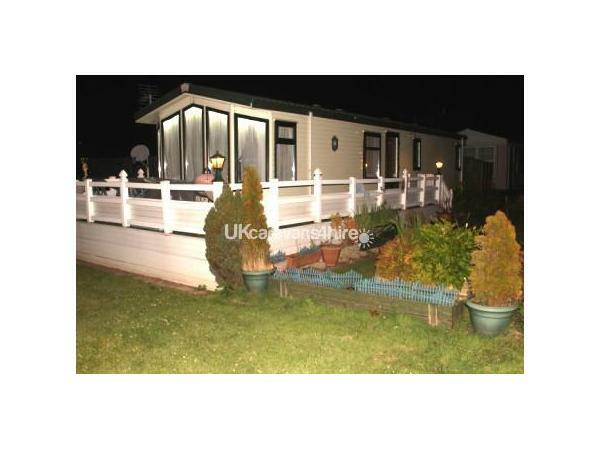 We require that hirers leave our mobile home in the same condition as it is found. 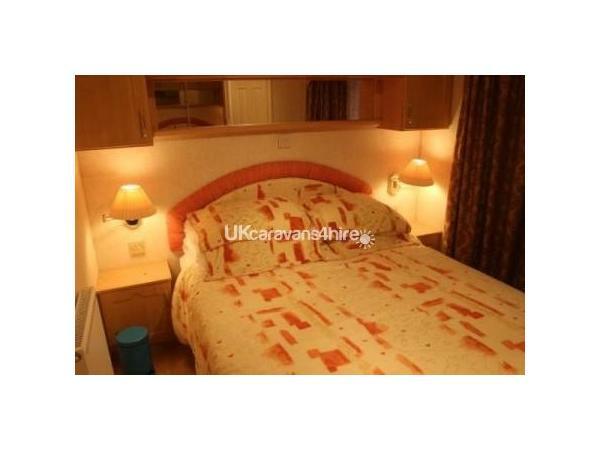 11) WE HOLD AN ADDITIONAL £100 CLEANING/DAMAGE/OVERCROWDING DEPOSIT FOR 10-14 DAYS AFTER DEPARTURE UNTIL INSPECTION. 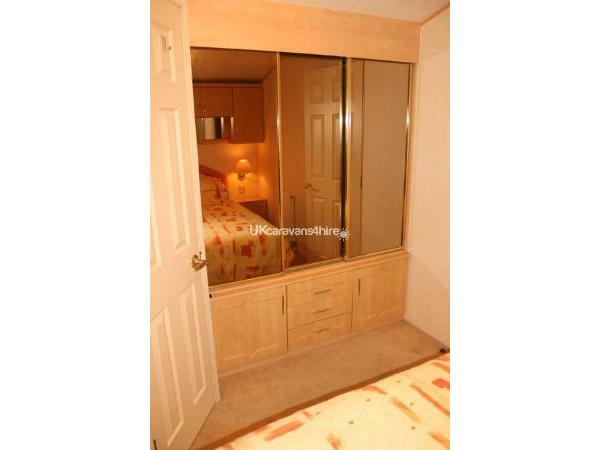 SHOULD OUR MOBILE HOME REQUIRE SIGNIFICANT CLEANING, THEN THIS £100 DEPOSIT WILL BE USED AS REQUIRED TOWARDS THE COST/EFFORTS INVOLVED IN CLEANING ETC. THIS £100 WILL BE REFUNDED WITHIN 10-14 DAYS ON CONDITION THAT THIS MOBILE HOME IS LEFT AS IT IS FOUND WITH NO DAMAGE, etc. ***PLEASE NOTE***: Riverside is positioned on the edge of a large Retail Park, within close walking distance of Tesco, Sainsbury, McDonalds, KFC, Burger King, Pizza Hut, etc., consequently there is no need for a site Grocery/Provision shop. Please note: this site is exclusively a 'Family Friendly' site only (i.e. No Singles' Groups nor Stag/Hen Parties etc.). 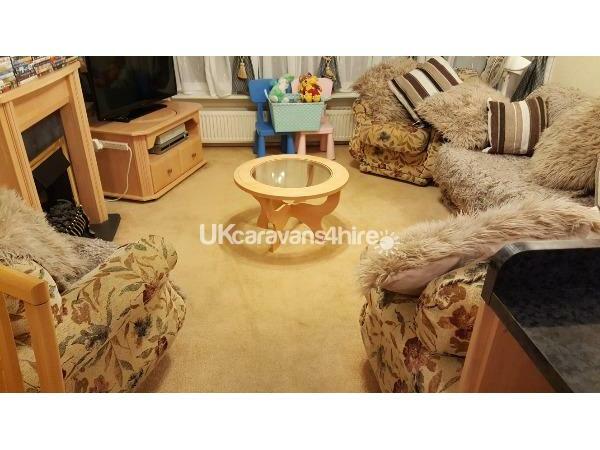 STRICTLY NO SMOKING/CANDLES INSIDE CARAVAN. NO SMOKING ON OR AROUND DECKING, NOR IN GARDEN AREA etc. WELL BEHAVED DOGS CONSIDERED: EXTRA CHARGE NEGOTIABLE £12-40 pw. DOGS NOT ALLOWED ON FURNITURE OR ON BEDS ETC. Fully refundable additional Damage/Cleaning deposit of £100 upon initial booking required: Deposit will be refunded after inspection. many thanks to phil and jan, so glad we met you both on our second time in your fantastic caravan,you are always so helpful, hope to see you next year ,from derek, Karen.daryl,and Charlie the dog . 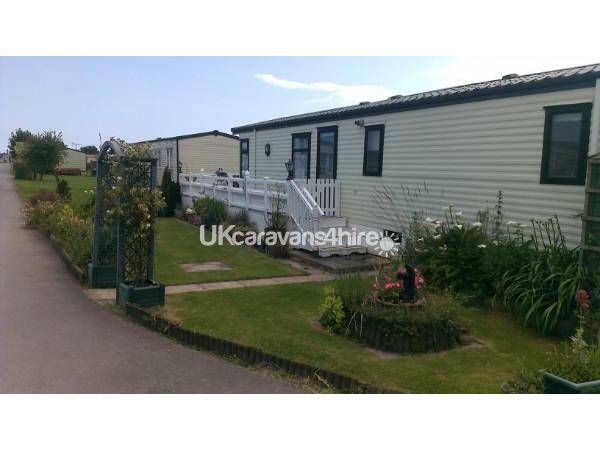 We have just returned from a week away in this caravan, and could not fault it, it had everything we needed. 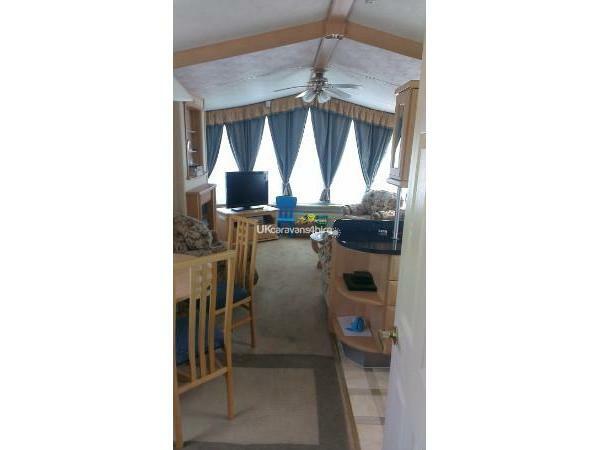 The caravan was absolutely spotless, and Phil was very helpful, so glad we met you Phil. Thank You again. 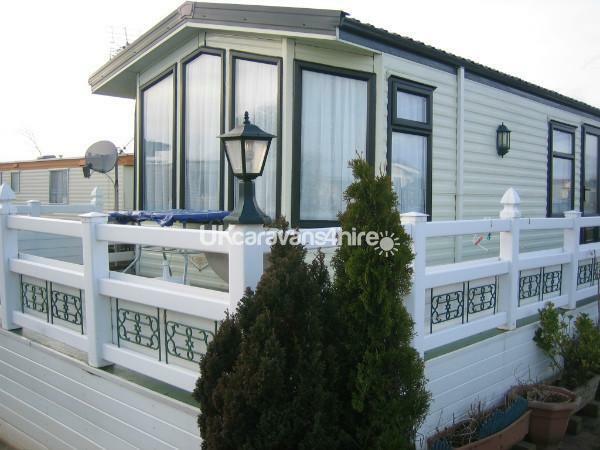 Very clean luxurious caravan and will book again. Lots of facilities provided and decking was ideal for dogs. Lots of facilities on site and nearby. Had a great time, met Jan she was very friendly and extremely helpful. Would love to go again, found dog friendly beach and cafÃ© at Felpham and also at Littlehampton, as well as the places recommended by Phil and Jan. Thanks very much. Ann, John and Buddy.